Welcome! And thank you for visiting our Team's website. Based out of Richmond, Virginia and serving all of Central Virginia, we're your specialists for all things connected to local residential real estate. With over 50 years combined real estate experience, we have a proven track record in providing excellent service to simplify all aspects of our clients' real estate transactions. We're in a Great Buyer's Market that you'll want to take advantage of! Have a home you need to sell? We can help with that, too! We even specialize in trouble real estate sales. We invite you to contact us. 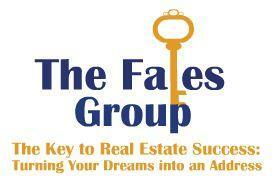 We'd be happy to assist you with any and all of your real estate needs in the Central VA area. Also, if you have any general questions about buying or selling locally, please contact us! We're here to help you! Thanks again for visiting our website. We look forward to working with you! Beat other homebuyers to the hottest new homes for sale in the Richmond area with our New Listings Notification. Sign up here.